Twenty grants and loans were approved by the Commission in November 2017 and nineteen were approved in 2018. The map below shows the locations of the projects. 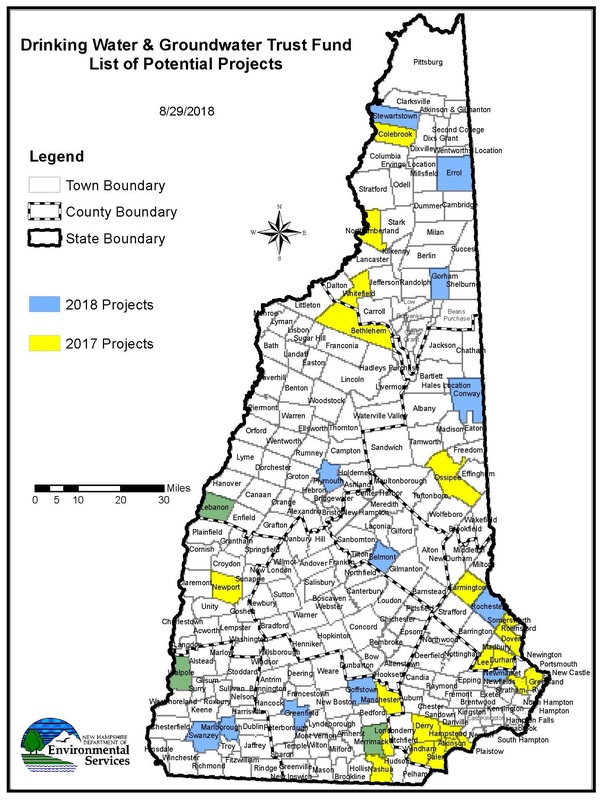 Locations color coded green indicate a project approved in that town in 2017 and 2018. This PDF table details each of the projects approved in 2017. Project details for 2018 will be coming soon. 2017 Project descriptions can be downloaded as a Word file as well as the 2018 Final Funding List as voted 8-30-18. An interactive GIS map of the projects is coming soon.